1. Fill each plastic cup with ⅓ cup cold water. 2. Add 2 tablespoons of tempera paint to each plastic cup. 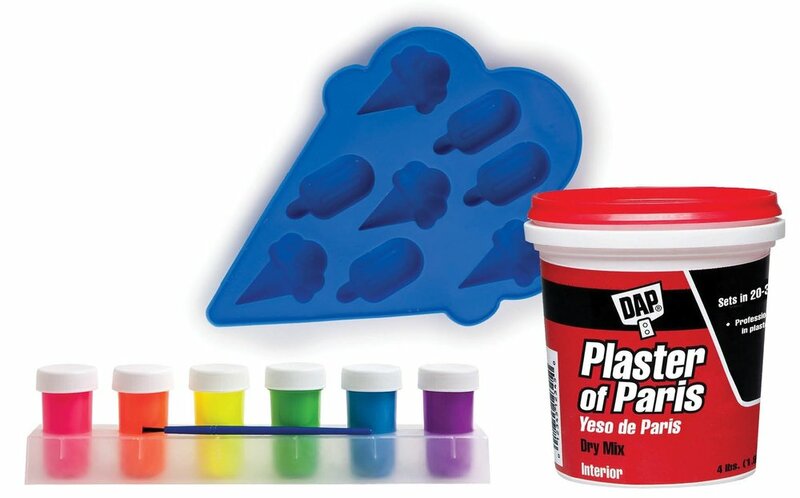 Use the plastic spoons to mix the water and paint together. 3. 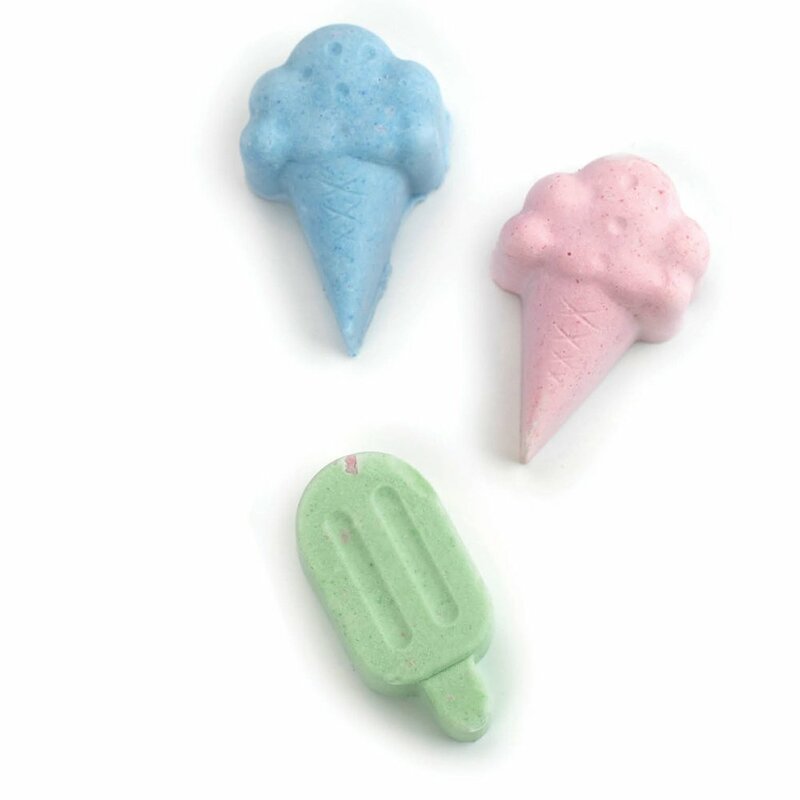 Add ⅔ cup plaster of Paris to each plastic cup. Stir until thoroughly combined. If too dry, add a small amount of water. 4. Carefully pour or spoon your mixture into the silicone mold. Then gently tap the mold on your work surface to release any air bubbles. 5. Set the mold in the sun to help it cure. Let dry for 24 hours. Drying time is dependent on the size of your mold. Small molds take only a few hours. 6. 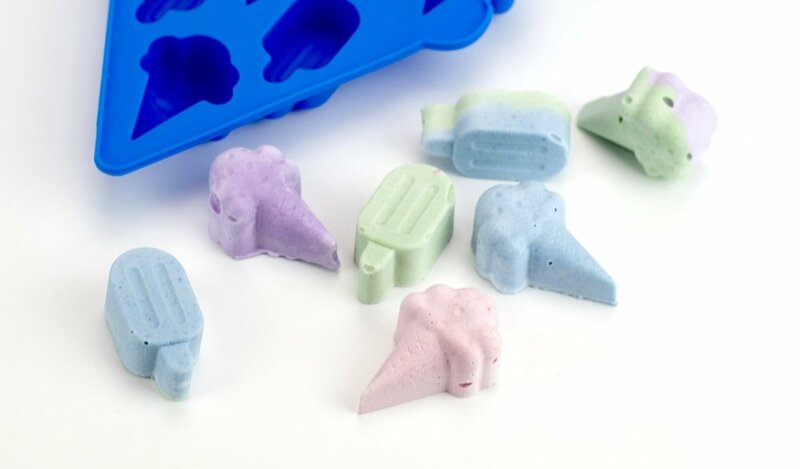 Carefully remove the chalk from your molds and enjoy! Warning: Do not put plaster of Paris down drains—it can cause pipe damage. Older children can help with the mixing, but small kids should not. Tip: You can layer colors for multicolored chalk!